The guide provides inspiration and planning tools for those with an interest in traveling in Kansas. 400,000 guides are distributed annually to people who request them and at rest stops, visitor centers, and events, in and out of Kansas. Additionally, an online guide is available for download on TravelKS.com. Submissions generally open mid-April. Display advertising and lodging/dining/shopping/event listings are available for as low as $80 when reserved before the early bird deadline of May 31st. General listings are $90, and a highlighted general listing is $130. 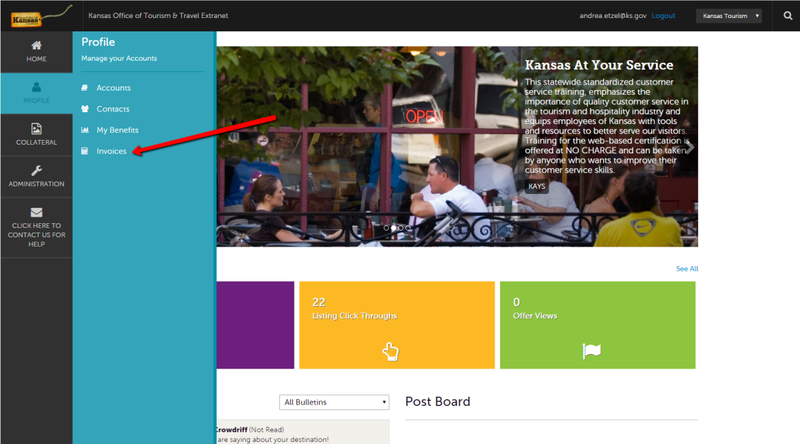 All listing musted be entered by July 1st and paid for by July 12, 2019, to be included in the 2020 Kansas Official Travel Guide. Any invoices not paid by July 12, 2019, the listings will be pulled. Please contact Christina Green at Midwest Living to reserve your spot. You can reach Christina by phone or email. Phone: 312-580-1607 Email: Christina.Green@meredith.com . 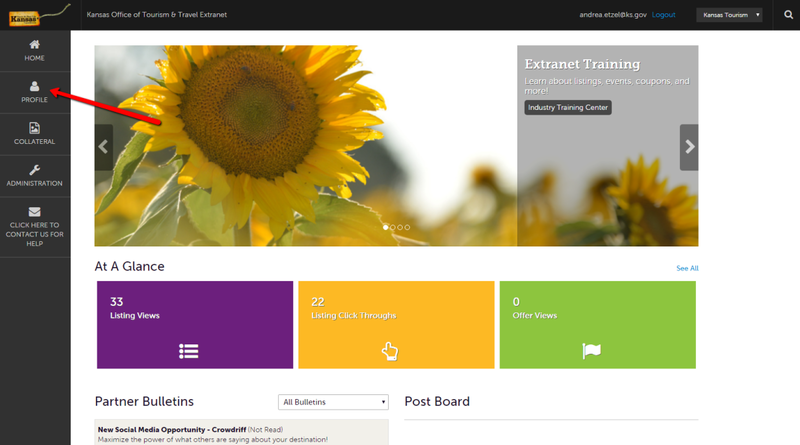 We&apos;re thrilled to announce that listings can now be paid for online through the extranet system! Many partners have requested this feature and we&apos;re happy to be able to provide it. The process is very user-friendly and confidential. Those who would like to pay by check still can. Please make checks to "Kansas Dept. Wildlife, Park & Tourism" and mailed to 1020 S Kansas Ave Ste 200. Topeka, KS 66612. 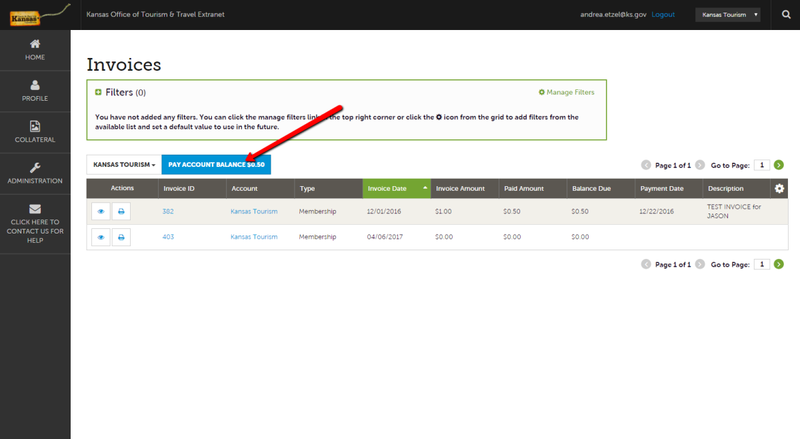 Step 1 - Once you&apos;ve logged in to the extranet, click on "Profile"
Step 2 - In the Profile menu, select the bottom "Invoices"
Step 3 - Here you&apos;ll be able to see a history of invoices, as well as your balance. 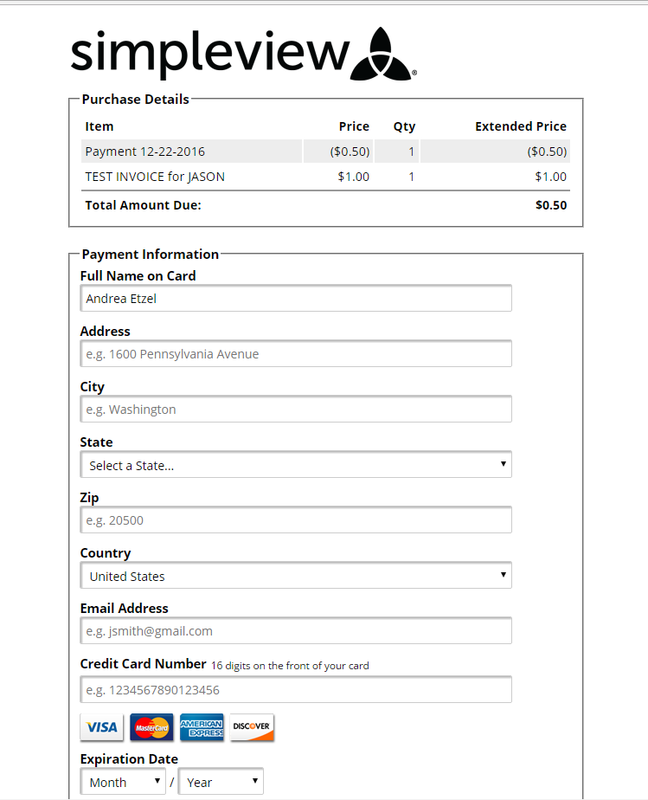 To pay, click "Pay Account Balance"
Step 4 - You will be brought to a payment page, and can pay through a major credit card.